What are people saying about taking action on climate? Registration Please register by 5pm on Thursday, May 9, 2019. Workshop is free but registration is requested. Contact Questions? E-mail Steve Miller or call (603) 294-0146. 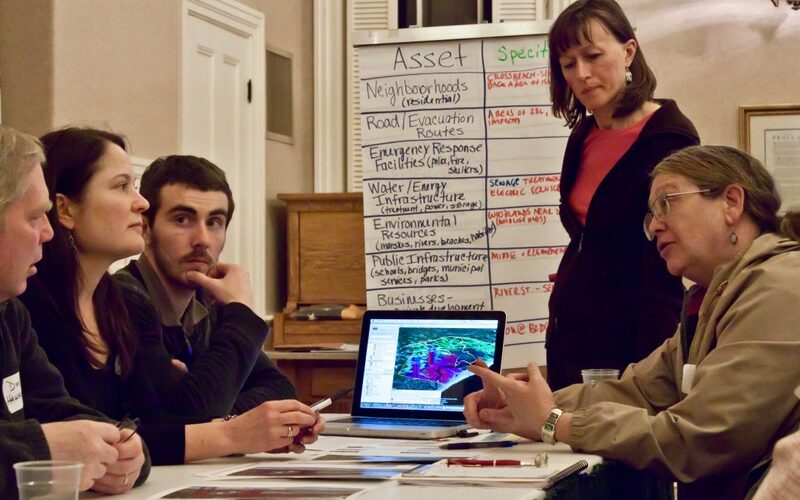 Join CAW to examine National survey data from the Yale Program on Climate Change Communication, together with data combined from more than 40 New Hampshire, regional, or nationwide US surveys conducted by the UNH Survey Center (2010-2019), to find out what it tells us about support for climate action, climate policy, and resilience building efforts. Matt received his PhD in Sociology from the University of New Hampshire in 2015. His research has focused on public perceptions of climate change and other environmental issues, such as extreme weather events, urban development and sprawl, and commercial fisheries management. More broadly, he specializes in environmental and community sociology and has interests in environmental justice, natural resources, and public attitudes towards environmental policies. He recently completed a postdoctoral appointment at the Yale School of Forestry and Environmental studies where he studied public attitudes and beliefs about climate change as a member of the Yale Program on Climate Change Communication.